If I had a pita chip for every time in the last year that I discovered or developed a new Lebanese recipe that I wish could have been in my cookbook, I might have enough chips to fill a big bowl for fattah. I’m happy to report that even though the fattah is just coming to light for me lately, the chips did make it into the book. One review I read said that the book’s introduction alone was worth the price of admission (I had to give myself a little hug when I read that!). So nice. I’d add that the pita chips are right up there with worth it. They’re just so darn simple and the result so irresistible: you’ve got the crunch, the salt, the DGB (deep golden brown), the aroma of just-baked from the oven. 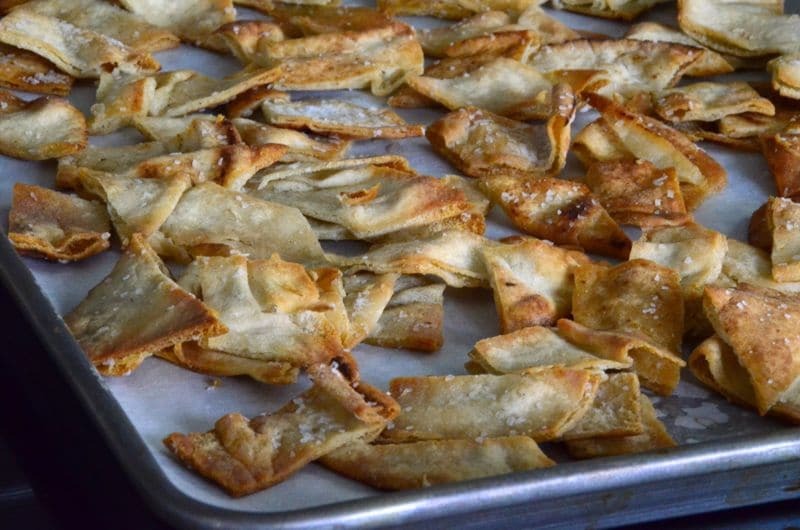 I’ve been making the pita chips so often that I’ve started wondering what I can do with them in addition to crunching on fists full over the stove. There’s always dip, such good ones. But they’re so…obvious. 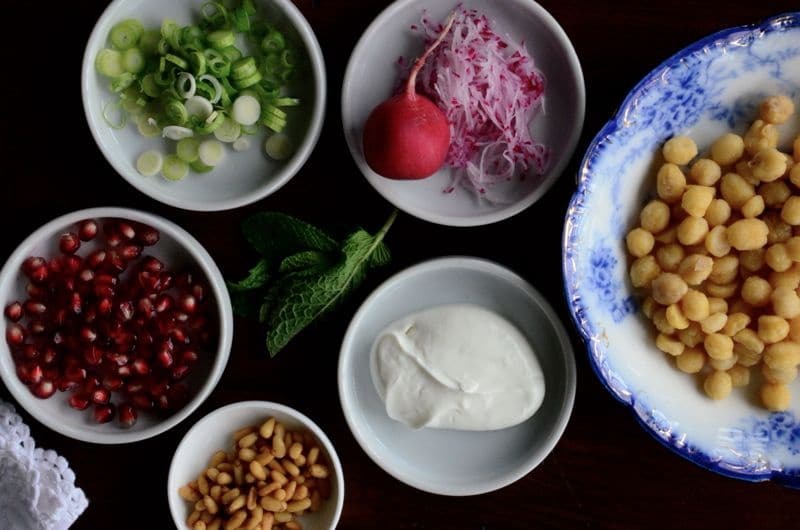 The fattah—a bowl layering warm chickpeas, pita chips, beautiful garnishes, and garlicky yogurt, has showed it’s pretty little face to me in the oddest places. I started seeing fattah on blogs that have absolutely nothing to do with Lebanese cuisine (I mean, tabbouleh all over the place I get, but the fattah surprises) and wondered how such a brilliant use of pita chips and chickpeas had passed me by all these years. Mom? How did we miss this one?! I poked around my library of Middle Eastern cookbooks, and sure enough fattah was there like the classic that it is. Then when I was in D.C. recently and finally had dinner at the renowned Lebanese Taverna, I was in fattah la-la land. 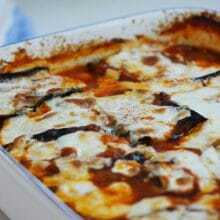 The menu offered at least three variations on fattah: with fried eggplant, with roasted lamb, with chicken. I went for the eggplant and swooned. At home I can be lazy when it comes to a casual bowl of food like this, so the fattah I’ve been making doesn’t have any of the Taverna’s eggplant, lamb, or chicken. The fun of it is you can add whatever you want from the produce or protein you have on hand (roasted vegetables would rock it). I’m heading out to do lots of cooking demos, classes, and media for the launch of the Rose Water & Orange Blossoms cookbook, and I keep thinking: the fattah! I wish I could show off fattah! It’s just that it’s . . . not in the book! 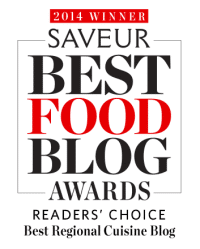 But that’s okay that isn’t it, because lookey here: here we have a blog, the one that started all of this to begin with, and here is where we get to keep on sharing the new, the classic, and the wonderful Lebanese dishes we just love to love. This dish comes together quickly when you have a well-stocked larder with labneh, chickpeas, and pita chips. I like to make these regularly and keep them on hand at all times! You can use peeled chickpeas, my favorite, but from dry or canned will work fine here too. Add fried eggplant, roasted chicken or lamb for extra oomph. 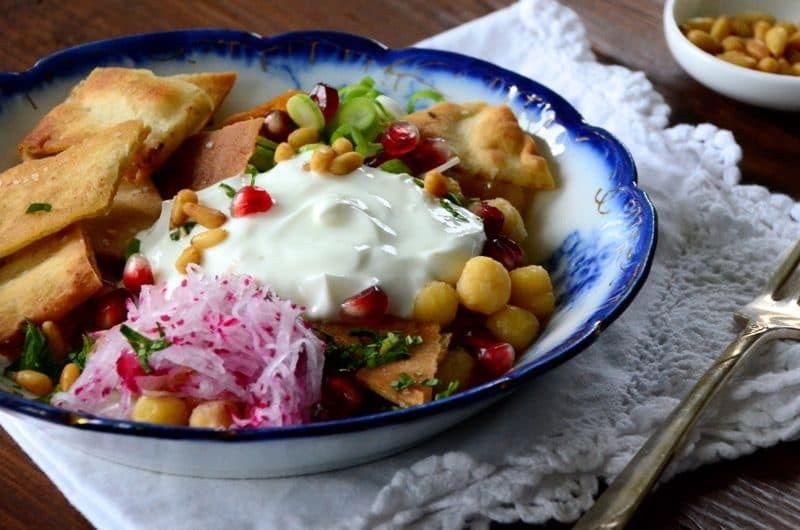 In two lovely bowls, mound the warm chickpeas in the center. Spoon a big dollop of labneh on top. 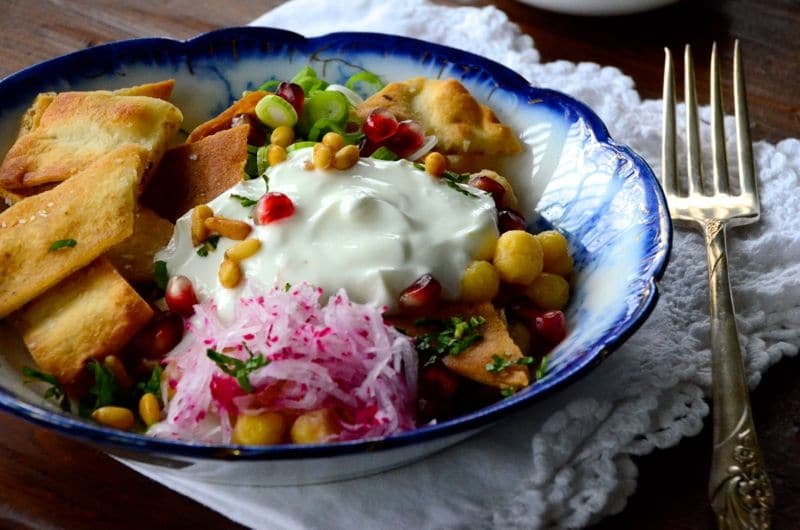 Surround the chickpeas with the pita chips, scallions and radish, then garnish with pine nuts, fresh mint, and pomegranate seeds. Serve immediately. 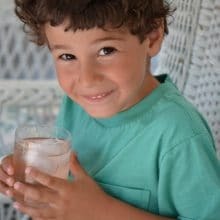 21 Responses to "Lebanese Fattah: Chickpeas, pita chips, and labneh with garnishes"
Mclean & Eakin Book Store and sit in the comfy chair and look at wonderful cookbooks! Yesterday, one of the delightful books I opened was yours! 🙂 You’re cookbook is wonderful and quite beautiful! My maiden name is Saide. My grandparents on my Father’s side, came from Syria in the early 1920’s to Ellis Island and made their home in Highland Park, Michigan on Victor Ave. My Grandfather Jido, had a store and then opened the LaMar Barber College, first on Victor Ave. then moved to Woodward Ave. and my Uncle Sam took it over after my grandfather passed away. My Father was 100% Syrian and my Mom is english, irish, etc. Justin Rashid and I have a lot in common in that both our Fathers were 100% and our mother’s were not. My Sito taught my mom how to cook and my mom was a natural! I am so thankful to have that passed onto me! I lived in Highland Park until I was 13, and we moved to the suburbs in 1971. I am so thankful for being able to live in the Detroit area and be able to experience how wonderful it was! I sure hope and pray that it does come back. I was reading your blog one day, the day you were sharing about Mujaddara. I have to stop and interrupt myself and share that there were two smells that I remember vividly as a child that made me sick and that was the day my mom would make Mudaddara and the smell of perm solution! 🙂 So, as I was reading your blog and how you shared how much you disliked everything about Mudaddara as a child, I just sat there and laughed, because it was just like I had wrote those words myself! I absolutely love to cook and bake and I love cookbooks!!! So I just wanted to introduce myself to you and say hello and thank you so much for your beautiful blog and cookbook and for your love for great food!!!! Connie, what a special pleasure to meet you here. Thank you for taking time to share all of this–we are kindred spirits! Here’s to all that we share, our Lebanese culture and our beautiful north (and that early dislike of the mujadara!!)! Such a lovely compliment from one of your reviewer’s–we all feel the same. I have ordered seven copies of your beautiful book for my nieces, for my generation of cousins, and, for their young daughters who are starting their own families. Love and appreciation are coming your way from all over the land!!! My two daughters and myself all received your new cookbook in the mail yesterday. The first thing all three of us did was to open it and read the introduction (the acorns don’t fall far from the tree). We all laughed when we found out what we had all done identically. I love to read your family stories and the touching dedication and introduction were right up there with your best efforts. I was very touched.by the warmth and love. Oh My! Your book is just too wonderful. It is the very best Lebanese cookbook I have ever seen. I can not wait to start preparing the recipes. In fact I have made a plan to cook one new recipe each week until I have made every one of them. I am also thinking of trying to journal my efforts as I go along. My wish is that you are already working on your next cookbook and really hoping that it will be published by the time I have made it through this one. I am giving you five stars on this book***** Thank You for all your hard work and efforts. I now have a new treasure thanks to you. Peace and Blessings. This is precious, thank you so very much. Connie, I just have to say that your post brought tears to my eyes–it is so wonderful to have Maureen’s blog, not only for its inherent beauty and emotion, but to bring together those of us across this great land to hear our stories of arrival from the old world to the new. Well, I guess I didn’t order the most, but my 5 copies came on Wednesday. It is the most beautiful cookbook I’ve ever seen. And the stories really add to the hominess of the recipes. I also like the pages of explanation as to how an ingredient is made or properly handled. This comes naturally when around the “natives” but has been lost with the passing generations. I hope these are of help to my children. It’s also much larger than I expected. OK enough of that. Get busy on the sequel! This means a lot to me Roger, thank you so much! Wasn’t that fun and delicious Danielle! Let me know how yours goes–I bet you’ll do the eggplant with it too…. Maureen, I am so entranced with the flavors of Lebanon and the Middle East and your site always gives me delicious—and beautiful—new recipes to try. I’m outfitting my home garden with ingredients; just harvesting favas, getting ready to plant eggplant and cucumbers, always have mint, and the pomegranate tree is blooming! Thank you for the inspiration and sharing your love of your family food. Yum! This looks so good! I love the mix of flavors from Lebanon and the Middle East. I definitely want to give this recipe a try one day! Cucumbers, eggplant, mint, and pomegranate? All the ingredients sound delicious to me! Oh wow, this sounds absolutely perfect right now – I love pita, cucumbers, AND pomegranates – so together like this sounds great! Definitely have to give this recipe a shot! Mm, sounds and seems quite delicious, as well as healthy! A vegetarian meal that even a crazy all-around food player like me will fancy very much. 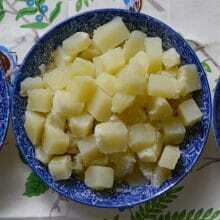 Hi Maureen just tried your father for lunch it was amazing!!! I added sumac on top of it and it gave it an extra touch! What a mouth-watering dish, Maureen. You’re photography is amazing. I’m sooooo hungry now! Thank you for all that you share. It has been an absolute pleasure to venture throughout your blog. Your cookbook is at the top of my purchase list. Given that my father was born and raised in the Middle East (Palestine and Egypt), your recipes have taken special space in my heart. 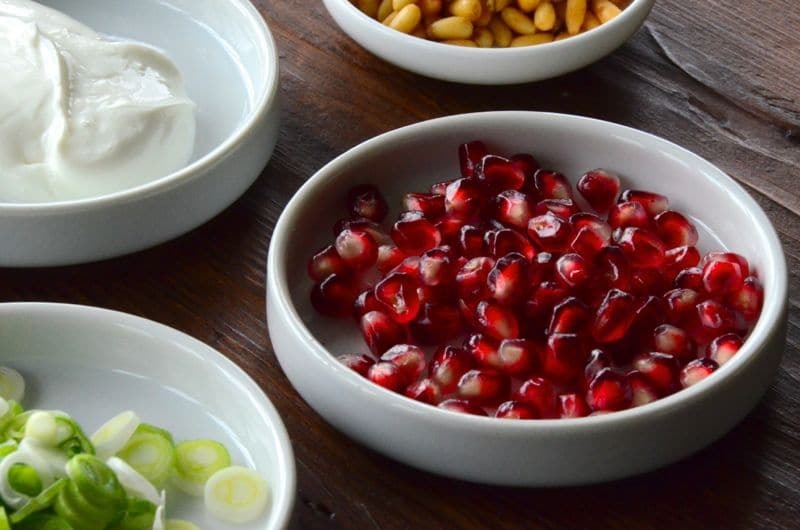 Although there exist slight differences between Lebanese cuisine and other places in the Middle East, I have to say that they are ALL delicious and unique. Would you mind describing the fried eggplant that was served with your fattah at the restaurant? Was it cubed? Garlic? Vinegar/lemon? Thank you Christina, so much! The eggplant was very very simply prepared, lightly dusted in salted flour and fried probably in vegetable or canola oil. You are inspiring me to post about fried eggplant now….